2019-2020 MPF General Application NOW LIVE! 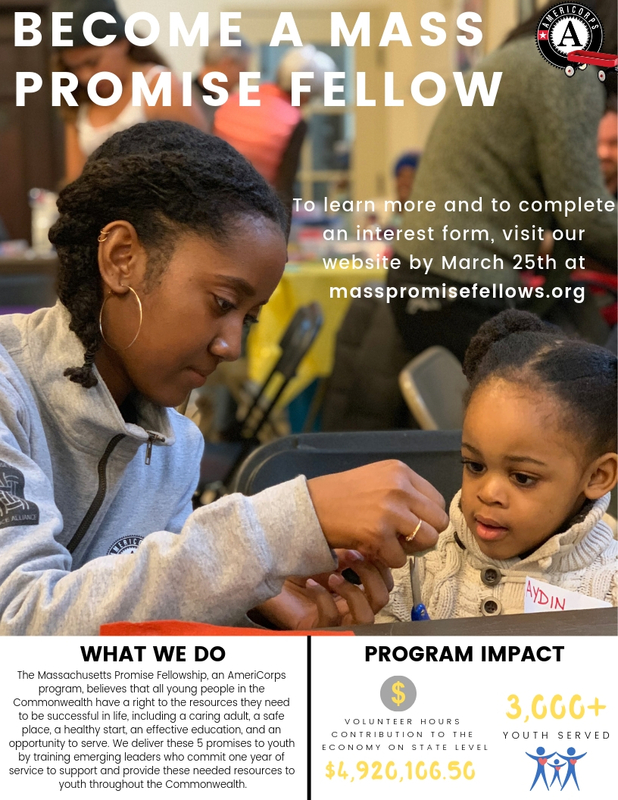 The Mass Promise Fellowship is happy to share that our positions are officially OPEN for the 2019-2020 Year! Check out the open positions on our apply page and apply here!